Congratulations, Anders! Love the banner image...very neat architecture! Great shot of the jetty. "From heron after I will always strike this pose when Belita comes by to take my pic." Hi Belita!! Wonderful photos for this week's theme. Lovely verdant area in the first shot. 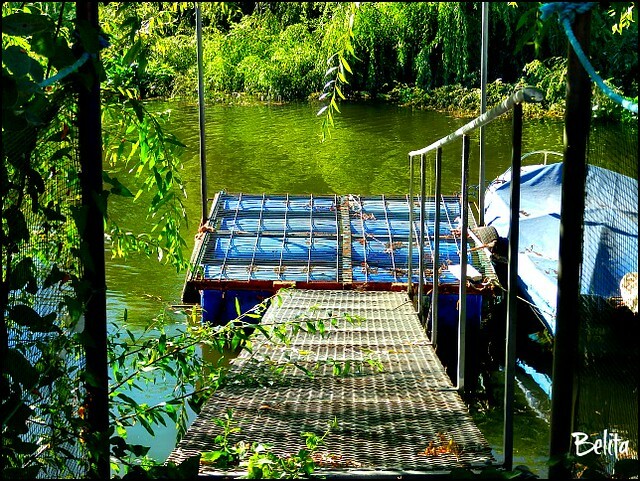 Looks like a private mooring. Is that on a river or a lake? The woman in the second shot provides a good foreground contrast to the river and buildings behind her. Beautiful reflections of the trees in the pond, with the dog adding extra interest. Fabulous shot of the Great Blue Heron in the final shot. My favourite bird - in my favourite of your photos. Good morning - well, afternoon to you! 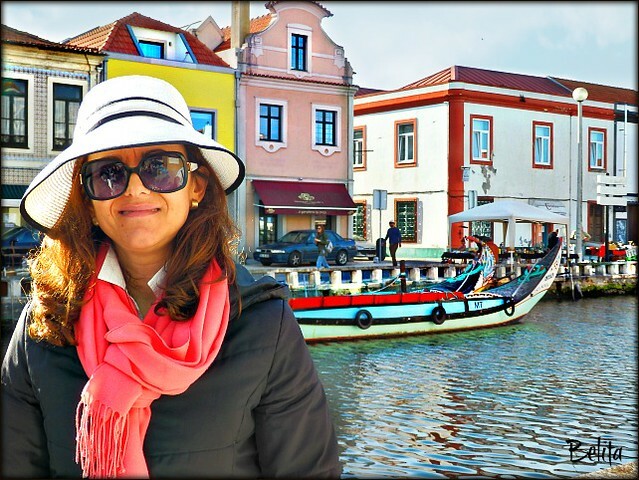 The blues and greens of your first shot are lovely, and what a lovely young lady in Aveiro City with a beautiful canal and gondola in the background. 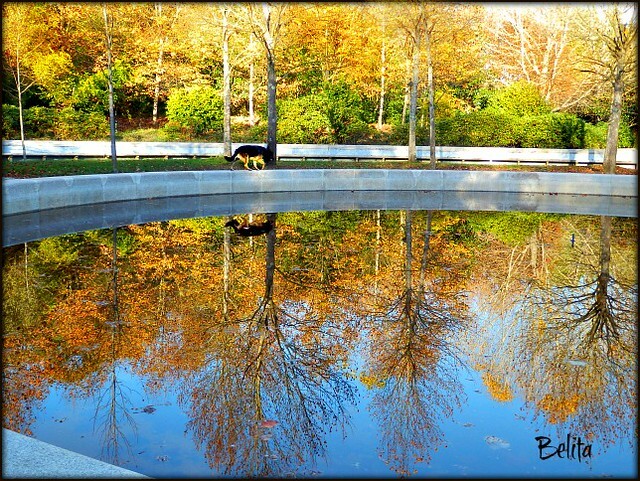 Crystal clear reflections at the city park, with a dog on a marvelous autumn day. 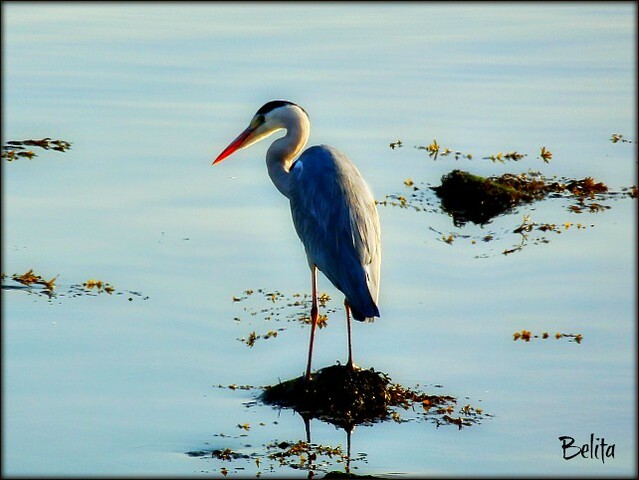 My favorite has to be the heron, a picture of peace and beauty, tranquil blue water and a tip of bright orange at the end of her beak. Fantastic!